i just ran malwarebytes for the first time in a while i found that i had 115 pieces of malware i restated my computer and ran it again and got that number down to around 96 most of the malware has to do with utorrent and has the word PUP.optional attached. a lot of these things say key and im not sure if i should delete them what should i do? Adobe Flash Player 13.0.0.214 Flash Player out of Date! Adobe Reader 10.1.10 Adobe Reader out of Date! If your version is out of date install the newest version of the Sun Java Runtime Environment. Successfully deleted: [File] "C:\users\default user\start menu\programs\startup\best buy pc app.lnk"
Successfully deleted: [Folder] "C:\ProgramData\best buy pc app"
Successfully deleted: [Folder] "C:\Users\Dylan\Local Settings\Application Data\best buy pc app"
Successfully deleted: [Folder] "C:\Users\Dylan\Local Settings\Application Data\cre"
That looks great. Any other issues before we clean up? what files should i delete? Why would you want to delete files? 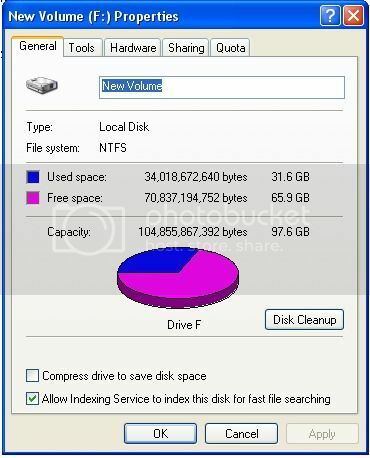 When you run diskcleanup, delete all of them. The only thing that comes up when you run the diskcleanup are useless files and can be deleted. I will lock this thread. If you need it re-opened, please send me a pm.